But they still presented the Special Investigative Committee Report anyway (and put it online! ), and you can click here to see it. It recommends Metropolitan Herman (OCA) be retired, suspended or removed. Notable is page 29, after the discussion of thousands of embezzled Church funds, the blackmail bomb that Fr Robert Kondratick had “blackmailable information of a sexual nature” about the previous and current first hierarchs of the OCA. (ocanews.org) Sources in South Canaan have confirmed that Metropolitan Herman left Syosset yesterday, and returned to South Canaan, refusing to attend the joint meeting of the Synod and Metropolitan Council today. Archbishop Dmitri read the request for a medical leave for the absent Metropolitan to the stunned Council this morning. It is not fully clear who will chair the joint meeting in the Metropolitan’s absence, although initial reports say that Archbishop Seraphim of Canada (as Secretary of the Synod) will assume that role, assisted by Bishop Nikon of Boston. In addition to the Metropolitan, Archbishop Nathaniel of Detroit did not attend the joint meeting as well. The Archbishop is reported to be in Romania. 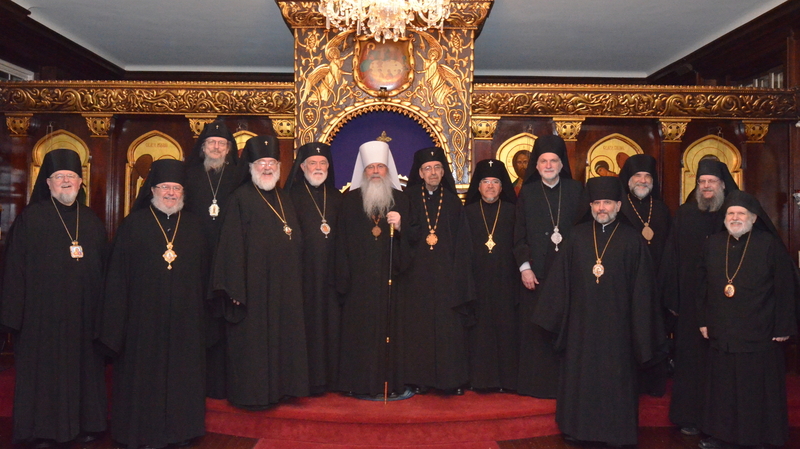 The Romanian Orthodox Episcopate of America (ROEA), a part of the OCA for the past 38 years, is currently in negotiations with the Romanian Orthodox Church to leave the OCA and enter that jurisdiction.